Kettering Rotarian Bill Lindahl and his wife Kathy are traveling again! This trip takes them to Singapore, Malaysia, Thailand, and Burma. 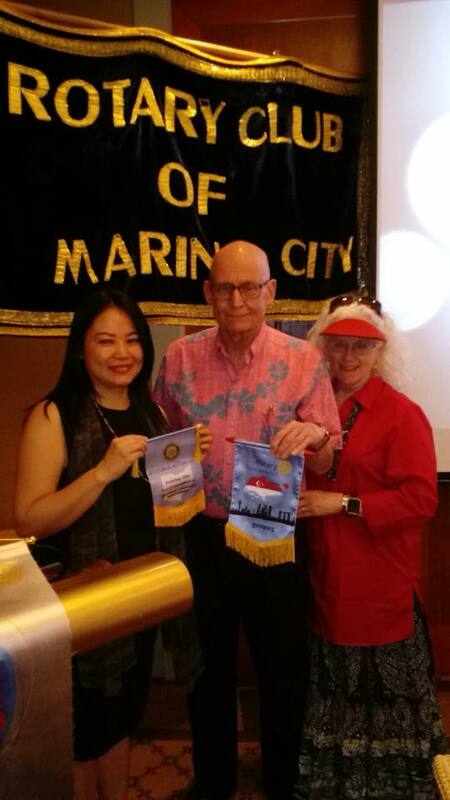 Here is a photo of the flag exchange in Marina City, Singapore. The Lindahl's are proof that no matter where in the world you roam - you're always among Rotary friends.